On the slopes of the Franschhoek Pass, admist sweeping tracts of fynbos lies the exclusive village of L’ermitage. Set within the secure grounds of the prestigious Fransche Hoek Estate, nestled between Chamonix and Haute Cabriere. Here you will find the stately five-star Chateau du Pré and 36 charming, private Villas all of which promise guests a warm welcome and a wonderful stay. L’ermitage village offers the perfect setting for those who want to make their wedding really special and romantically unique. 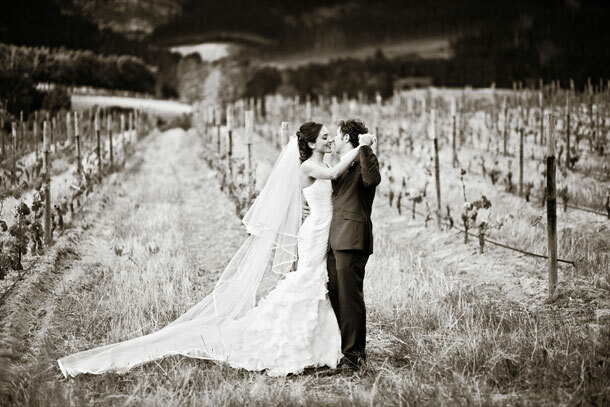 The champagne air off the fields of fynbos, the embrace of the Franschhoek Mountains and the spectacular natural setting promises to make L’ermitage weddings a much sought after attraction. 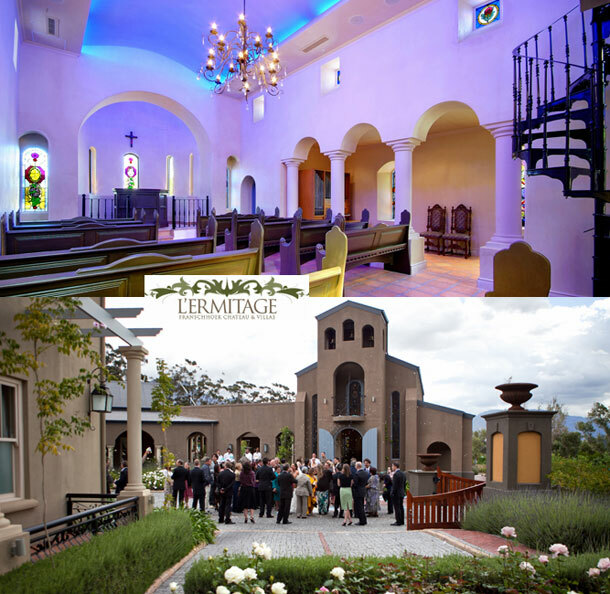 The non-denominational chapel offers a quiet sanctuary to the wedding couple and lends depth to the occasion. It has beautiful stained glass windows that give pause for contemplation and reflection. And its balcony provides a romantic gallery from which the happy couple can declare their vows in full view of their guests. To book the venue for your special day telephone Jo-Ann and her team on +27 (0)21 876-9200 or +27 (0)84 6925374. Alternatively you can visit L’ermitage Franschhoek Chateau & Villas for more information or to send an enquiry.